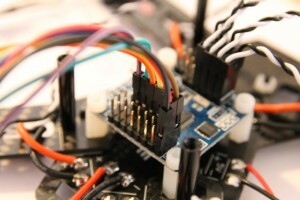 Let’s finish building up our mini quadcopter with the installation and configuration of the flight control board. I mounted the Flip32 board on its plastic spacers, using plastic screws to fix it and avoid short circuits. 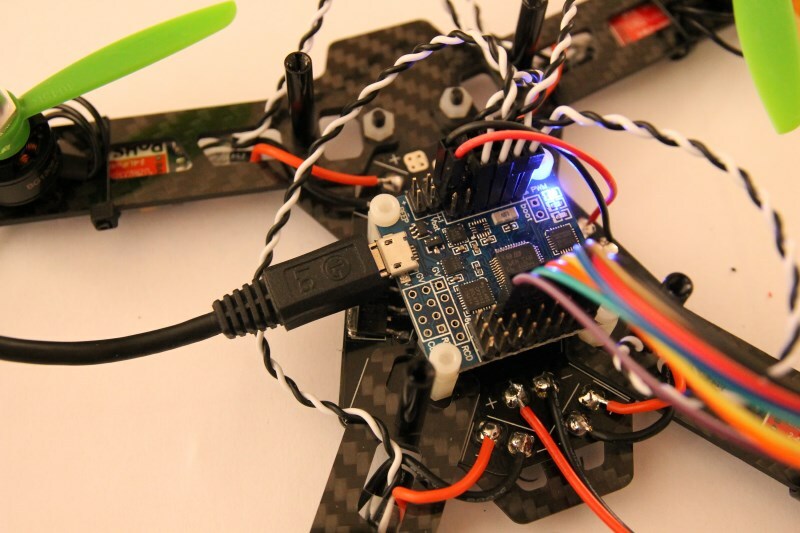 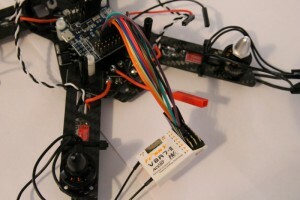 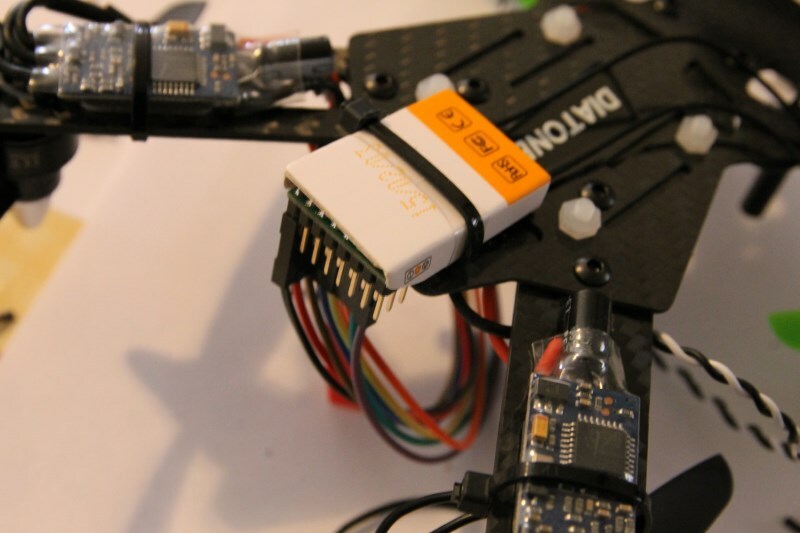 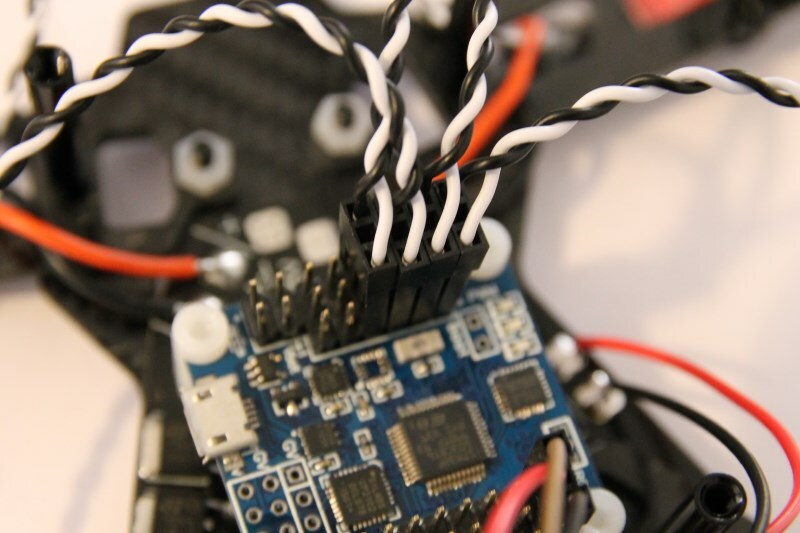 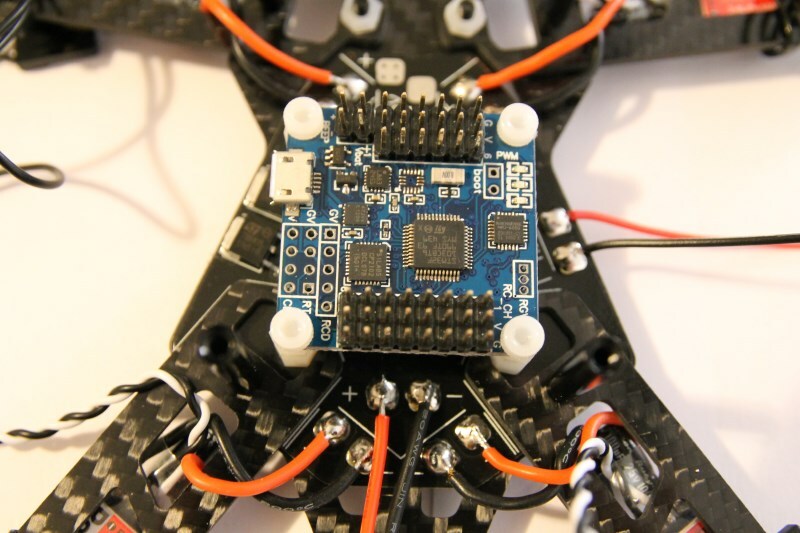 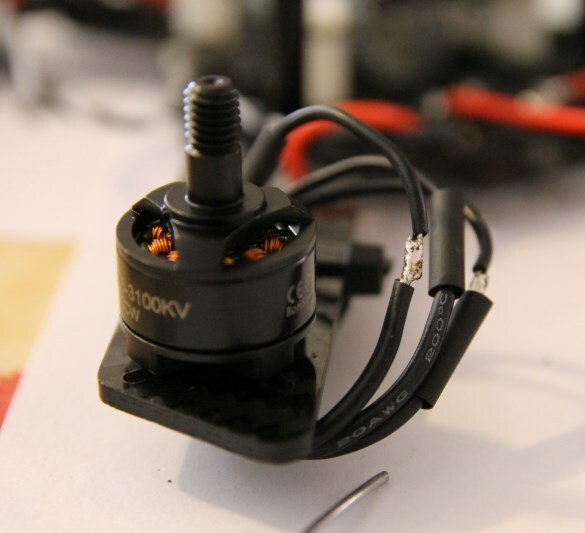 Then I connected the cables from the ESCs to the connectors labeled M1/M2/M3/M4 (the number that corresponds to each motor is detailed in the manual and I also wrote it on the sheet of paper beneath the quadcopter) and the receiver. And here are a couple of videos about the final setup and the first flight!